Economic growth or higher taxes won’t fix the state’s long-term budget deficits unless lawmakers first get major overhead costs under control and demand accountability. It’s important that we continue to have a serious conversation about controlling runaway state spending. 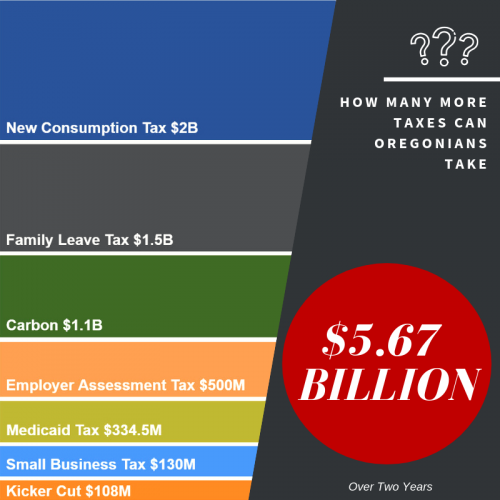 How many more taxes can Oregonians take? We’v e tallied the total cost of new taxes, fees and programs that the legislature is considering this year, and the price tag is astronomical: $5.67 BILLION over the next two years. As an Oregonian, can you afford that? Tell your legislators that is too much for Oregonians. When looking at the tax plan this session, they have to consider the whole package. It’s more than nickel-and-diming; this adds up to billions of dollars that Oregonians will wind up paying. We can’t afford it. Oregon Must Learn To Live Within Its Means. Our legislators must learn to live within their budget — just like we do. The state’s current shortfall stems from rapidly rising government spending, not a lack of revenue. Once our lawmakers bring government costs under control, we can invest our tax dollars on things that matter most. Growing the economy? Check. 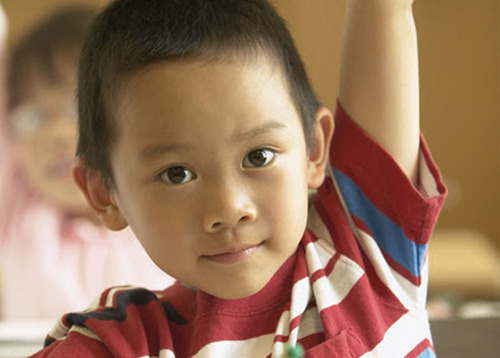 Better results for our children? Check. Brighter Oregon is a broad and growing statewide coalition of Oregon consumers, taxpayers, small and large businesses, associations and organizations who have come together to work with policy leaders on issues Oregonians care about such as better high school graduation rates, improved college completion rates, transportation investments, health care access and more efficient government spending. Join our coalition to get involved and communicate with Oregon’s legislators that our long-term budget deficits will only be fixed if lawmakers bring spending under control FIRST.